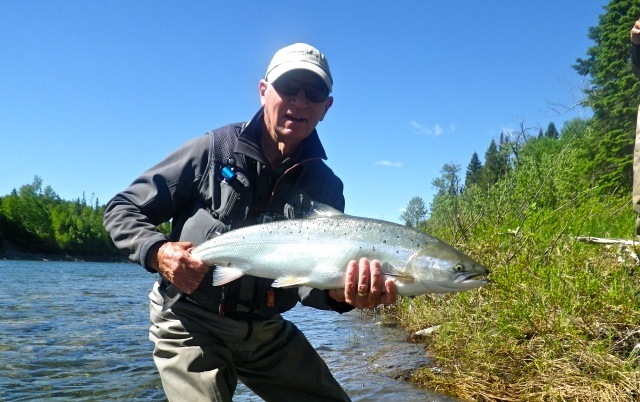 Rene Barnes has been a Salmon Lodge regular for years. 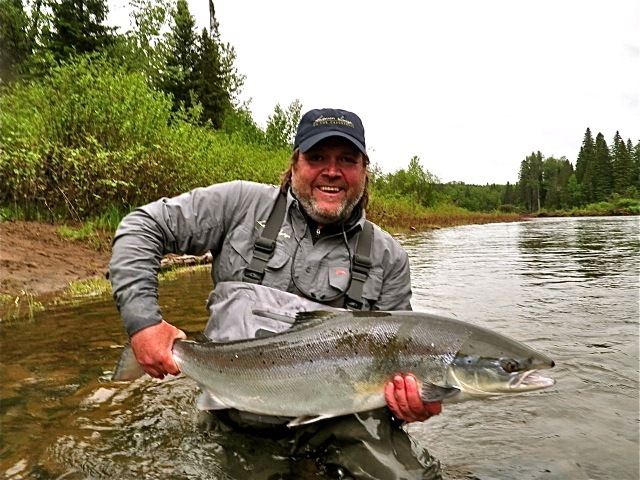 Originally from Newfoundland, Rene knows how to catch salmon. Nice fish Rene! I bet you caught it on a Blue Charm! 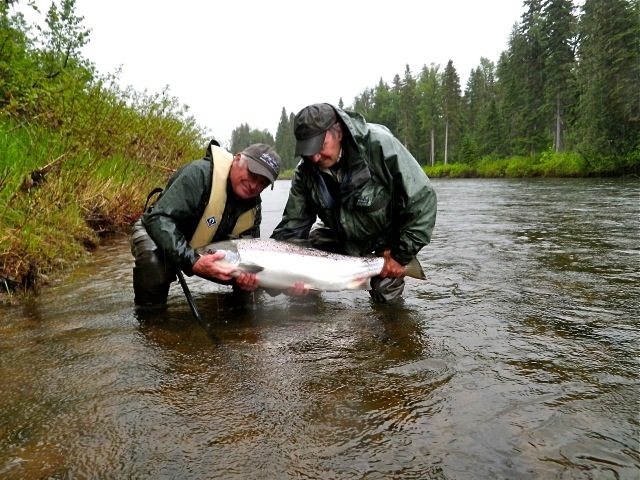 UK angler Charles Dewhurst and Salmon Lodge guide Clement Bernier release a nice one back to the Grand Cascapedia. Congratulatoins Charles, see you next year. William Pihl with his first fish of 2014, congratulations Bill.